When J. Cole dropped the link to Friday Night Lights, it blew up so large it broke. Cole was on top off his grind, posting an alternate link in anticipation of the first one's demise. But this mixtape's hype exceeded even Cole's expectations as both links went dead. Roc Nation is having a helluva weekend, one that could challenge G.O.O.D. Music's roster of potential greatness. Let's hope the Jay Electronica signing leads to a collaboration with J. Cole, or at least a few Cole beats on Jay's debut. If he can produce a G.O.O.D. Friday song, I think he can find his way onto Act II. 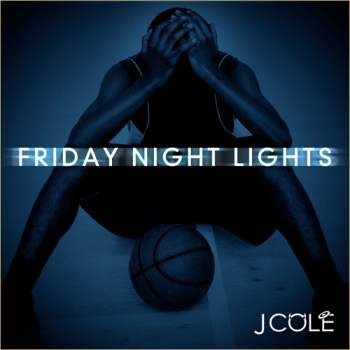 Friday Night Lights is almost entirely produced by J. Cole, proving the kid is capable of directing his own future masterpiece. FNL is a focused mixtape, to a point that its ambition is beyond the definition of a mixtape. I can't help but fall back on the “Villematic” lyrics of there being a feeling in the air that J. Cole is about to drop a classic. FNL does not include “Problems” or “Relaxation” or “Purple Rain,” which he dropped a few days before FNL just to blow our minds – just to provide some perspective as to how much heat J. Cole is sitting on. Download Friday Night Lights here, courtesy of 2DopeBoyz.